For their honeymoon, Alex Diacre and his wife, Sarah, traveled halfway around the world, from New York to the Maldives, a chain of atolls in the Indian Ocean. The breakfast menu at their hotel, the St. Regis, was a journey unto itself. Each morning they’d find a table looking out over the ocean, sink their feet in the sand, and make the hard choices. Should Sarah try the eggs Benedict, Maldivian style, with soft-shell crab and hollandaise-infused coconut curry, or should she opt for the duck foie gras terrines with fricassee of morel mushrooms and fried quail egg? Would Alex restrict himself to breakfast pastries or indulge in the coffee opera cake with vanilla ice cream? There was lighter fare, too – fancy cereals, local fruits, and fresh pressed juices. The meal, including buffet, tableside bloody marys, and a la carte offerings, ran about US$65 per person after tax and service. At least that’s what it would have cost a paying customer. The Diacres booked their six-night stay with loyalty program points Alex had earned traveling for his job managing technical support teams for a big software company. Those nights on the road – most of them spent in Alofts, Westins, and other properties overseen by Starwood Hotels – had earned him Lifetime Platinum status, which meant breakfast was free. The perk saved the couple about US$800 and set an appropriately decadent tone for their dream vacation. If you want to understand the modern hospitality industry, free breakfast is a good place to start – from Maldivian reef-fish omelets to the ham-and-egg croissant nuked in the lobby of your average Courtyard by Marriott. Diacre, 41, travels at least 100 nights in a typical year, and for the most part he chooses Starwood, even when nicer or more convenient lodgings are available. 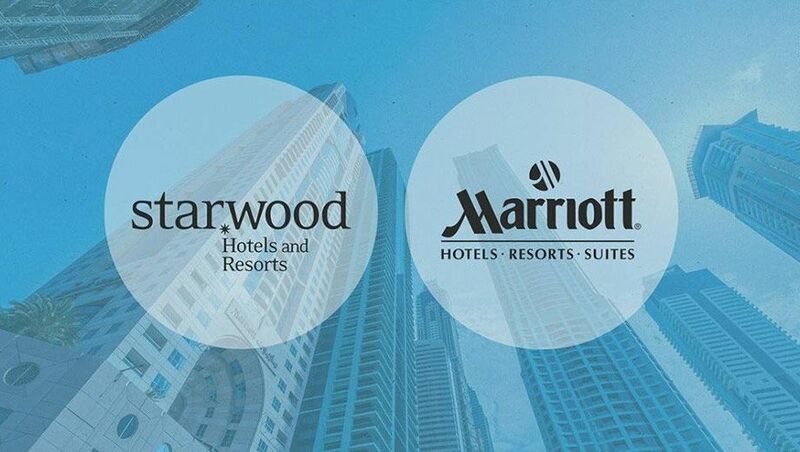 That type of behavior was a big reason Marriott International paid US$13.6 billion to acquire Starwood Hotels & Resorts in September 2016, in a deal that created a hospitality industry behemoth that today has 1.3 million rooms and 110 million loyalty program members. The move was lauded by Wall Street, which saw in the merger a chance for Marriott to achieve unprecedented economies of scale. Two years later the company’s stock is up more than 80 percent, outpacing its peers. Although the acquisition offered clear advantages to Marriott investors from the start, for Starwood Preferred Guests – or SPGers, as Starwood’s most loyal travelers call themselves - there was a catch. When Marriott began exploring the deal, it didn’t offer free breakfast as extensively as Starwood. Nor did it guarantee late checkout – a longtime SPG perk. It was stingier when it came to room upgrades, and it made elite status harder to achieve. Hotel loyalty programs are built upon a basic proposition: travelers rack up points on business trips and spend them at play. The more a traveler spends on a given hotel company, the richer the rewards get—just how rich depends on the program. SPG members gain platinum status after either 25 stays or 50 total nights in a calendar year; the Marriott Rewards program conveys its own version of top-tier status, Platinum Elite, on travelers who spend 75 nights. Status is good for the following year, and members have to keep hitting the annual goals to maintain their level. The most coveted customers at any hotel are those who travel most, which tends to mean management consultants, bankers, and assorted spreadsheet jockeys. These professional optimizers happen to be the people most disposed toward arbitraging the last bit of personal benefit out of their expense accounts. Even before the acquisition, the company boasted a full complement of very nice hotels, including luxury brands such as Ritz-Carlton. But Starwood loyalists tended to associate Marriott with middlebrow boxes such as Courtyard and Residence Inn, as well as with the Marriott family’s buttoned-up Mormonism. Starwood, by comparison, was created when Barry Sternlicht, a private equity dealmaker, started collecting lodging assets in the mid-1990s. Sternlicht eventually acquired the Sheraton hotel chain and introduced the W brand, offering business travelers deluxe accommodations and nightlife in the lobby. More important, perhaps, Starwood took a fresh approach to points. While Marriott remained rooted in the idea of awarding guests credit that could be redeemed for future stays, Starwood devoted its energy to what loyalty nerds call “recognition” – that is, perks such as suite upgrades and lavish breakfasts that make elite travelers feel special. From the moment the acquisition was announced, SPGers worried that Marriott would use its new heft to ruin their beloved program. A few years earlier, Delta Air Lines had led an industrywide shift in how frequent flyers earn status, adopting a model that ties rewards to how much members spend rather than how far they fly. The nightmare scenario was that Marriott might follow suit and tie redemption values directly to the price of the room. Of perhaps equal concern: the possibility that Starwood’s hip hotels would be overrun by the sorts of people who - given the choice - had preferred to stay with Marriott. SPGers, by this way of thinking, were culturally savvy; Marriott enthusiasts were captives of convenience. The value of loyalty points depended on two sets of transactions: “the earn,” or how many points members get for spending money, and “the burn,” or what the points are worth at redemption. Harmonizing the two programs required a currency conversion for each side of the equation. Marriott would also have to adopt a common set of status levels and figure out what to do with its walletful of co-branded credit cards. And it would also have to manage the data of 110 million customers without losing a reservation or misplacing points. Solving those problems would be hard enough in a vacuum; it was made even more difficult because Marriott is essentially a middleman. Like most of the big hospitality brands, the company doesn’t actually own its hotels anymore. Instead, it makes money by licensing brands to real estate investors and then signs long-term contracts to manage the properties. A real estate developer planning a hotel has dozens of brands to choose from, and a strong loyalty program is often a key factor because it provides a cheap source of room demand. Hotel owners pay Marriott a 4 percent royalty on revenue generated by loyalty members – much less than the double-digit commissions charged by online travel agencies such as Expedia. Marriott uses that pool of royalties to pay hotel owners for rooms redeemed with points. Hotel owners are responsible for all the freebies that loyalty members are entitled to, including internet, snacks, and daily newspapers. Also: free breakfast, a perk that can be especially costly to owners because it can require them to hire more employees. For years, Marriott had been reluctant to give loyalty members free breakfast. When demand compelled the company to offer the meal, it excluded weekends and resort hotels. Hotel companies are constantly jostling with owners over operating issues, whether big strategic matters such as brand segmentation or local concerns including the size of the television screens in guest rooms and the amount of laundry detergent that goes in a load of linens. Buying Starwood had made Marriott harder to resist - for owners and guests alike - but it left the company with a series of trade-offs. Cut perks, and SPGers might balk; expand them too much, and owners might go looking for new flags to fly. Marriott CEO Arne Sorenson didn’t wade very far into those complexities when Starwood started shopping itself in the spring of 2015. His initial reaction was that the rival hotel company was too expensive and too much of a headache to be worth buying. Starwood’s share price fell over the subsequent months, however, making the prospect more appealing. Over the same period, Marriott executives decided an acquisition might protect the company from tech industry disrupters. Marriott revolutionized the hotel business in the 1980s when it started flipping new hotels to investors. Instead of owning its properties, the company funneled guests to hotels owned by others, sitting in the middle of the transaction and collecting a fee. That’s the same business model and value proposition offered by Airbnb, Expedia and other online travel agents. Meanwhile, online advertising giants Google and Facebook were also acting as middlemen. Buying Starwood had the potential to fortify Marriott against disrupters in two key ways: First by adding the SPGers, who numbered 21 million, and second, by giving its existing loyalists access to Starwood’s high-end brands, like the W and St. Regis. Sorenson considered walking away from the deal and collecting the US$400 million breakup fee. Instead, he raised his offer by US$1.4 billion. On March 21 he dialed into a conference call from Cuba, where he’d traveled as part of a White House delegation, and announced the acquisition. Starwood’s loyalty program “is one of the most profound advantages of this merger,” he said. Sorenson turned his attention to winning over Starwood customers. His first act was to extend a popular Starwood benefit – late checkout – to all Marriott loyalists. It was a simple move intended to show Starwood members that they didn’t need to worry. Then, on the day the acquisition closed, Marriott linked the two loyalty systems, letting members use points earned through either program to pay for rooms. It helped – but only so much. Sorenson confesses he was surprised in the wake of the acquisition to discover that some of his good friends were closet SPGers. On a Monday afternoon in April, David Flueck took the stage in a Manhattan auditorium and sought to dispel those concerns. Flueck, a former Starwood executive whom Sorensen had elevated to run the combined loyalty program, was announcing the outlines of the unified points system. The program, he promised, would be the best of both worlds, maintaining favorite benefits while making it easier to earn points and achieve status. It would keep hotel owners happy by slightly reducing the royalties they pay to support the loyalty program. Marriott could afford this by using its larger size to get JPMorgan Chase & Co. and American Express to pay more for the right to offer co-branded credit cards. Then the party was on, a fog machine fired up, and Keith Urban appeared, launching into Long Hot Summer, the mild come-on that topped the country music charts in October 2011. While the band played, the points bloggers typed. Marriott would no longer count the number of hotel stays (as opposed to nights) as an avenue to earning status, making hotel-hopping a thing of the past and diluting the value of a mattress run. They also noted that the company had made the top tier of membership harder to attain. By and large, though, the response was positive. As a bonus, Marriott’s integration plan also created a new opportunity for arbitrage. The company said it would use one redemption chart when it formally combined the programs in August and a second chart early next year. The quirk created a six-month window during which members could lock in deep discounts by booking stays at luxury hotels including the Gritti Palace in Venice and the St. Regis Bora Bora Resort in what could be described as a doorbuster sale for the new loyalty program. Marriott had also expanded free breakfast. Not everyone was convinced that the program was a good deal. Among the skeptics was David Lee Heyman, who was following news of the event from Singapore, where he sells enterprise software for a large technology company. A die-hard SPGer, he’s spent, by his count, more than 1,200 nights at Starwood properties. At the end of last year, Heyman stayed 10 nights at the Westin Grande Sukhumvit in Bangkok so he could qualify for Starwood’s Ambassador Program, entitling him to something akin to a personal travel agent. Heyman quickly saw that he’d lose access to his concierge because of a rule change that required members to spend at least US$20,000 a year on hotels. Worse for Heyman was Marriott’s plan for lifetime status, which bestows perpetual benefits on longtime loyalists. In a quirk of the integration, Marriott had created a special tier of lifetime membership that was available only to people who’d earned their stripes by staying at legacy Marriott hotels. Within a week, Heyman had assembled a group that came to include more than 90 Starwood members, including management consultants, touring musicians, a former chief operating officer of a major airline, and Diacre, the tech industry manager with an appetite for breakfast. He emailed Flueck on behalf of the group and waited. A few weeks later he got what he was waiting for. Marriott updated the language on its website to open the top tier of lifetime status to SPGers. The bloggers were pleased. Viewed through one lens, Marriott’s reversal could be seen as the perfect postscript to a case study in corporate M&A, the foie gras on top of the proverbial reef-fish omelet. Marriott had pulled off a daring acquisition, outbidding a deep-pocketed rival. Its leaders had demonstrated enough humility to incorporate elements of Starwood’s loyalty strategy while holding on to their own corporate identity. Then, when a small group of influential customers complained, it headed off potential bad publicity by correcting a mistake. All that would be fair, but it’s not quite how Heyman sees it. He says he appreciates the gesture but remains wary of Marriott. He says the lifetime status snafu might have been intentionally manufactured by the company to give it an easy problem to fix. (Flueck denies this.) “If not this, we could be complaining about something else,” Heyman says. After an issue I had about a year ago resulting in being banned from a particular Starwood property I switched my loyalty to Hilton. I'm glad I did because this merger would have made me much worse off being one of those members who gets to platinum based on the number of stays vs.nights. I just need to burn all my points before I lose my platinum status an then I can wave goodbye to them for good. The 4pm late check-out was the benefit I valued the most being SPG Gold. Now that the late check-out is 1pm I'll be using the new Marriott less. At least being mid-tier Rydges PGR Platinum still gets 3pm late check-out. Looking at it on the face of it, there is not one thing that is better about the combined program at any tier level. Have been a loyal SPG Gold member for over 10 years now. Apart from two nights in the JW Marriott in Bangkok over that time (which I must say was excellent), the Marriott brands have never been a go to for me. Regardless of the wash up of the loyalty program merger, I just hope the current Starwood branded hotels keep their individuality and retain all those things that I like about them at the individual property level. I spent 3 years as an SPG Platinum member (first year earned on the accelerator scheme). Loved the late check out but the best part was the automatic upgrade to a suite whenever I checked in - even when using the free nights for holidays. Due to being an Amex Platinum charge card holder ,I have recently accessed the free breakfast and lounge access that comes with automatic gold status. However I am now clueless as to what will happen to my status after the 18 Aug merger. Easy come , easy go ,I guess. Overall it hasn’t been too bad. 2. Marriott brands often not offering Platinum breakfast, and in the case of Ritz-Carlton and Edition refusing lounge access too. 3. Reduction in Suite Night Awards for upgrades from 10 to 5 nights. 4. 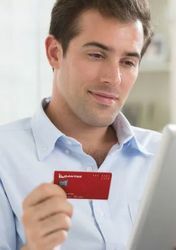 No Marriott or RC credit card Down Under, with 56% devaluation of Amex Membership Rewards conversions. It could have been much, much worse. But I have yet to meet a Starwood Platinum member who wouldn’t have preferred a Hyatt or even Anbang takeover. Could someone clarify for me, since the Marriott/spg merger will a member be able to access the tier benefits at both Marriott and spg hotels equally? Ie does spg program cease to exist separate from Marriott rewards? TIA! Comment on "Travellers take measure of the Marriott-Starwood merger"